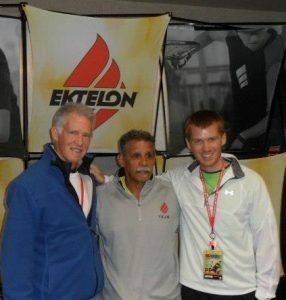 The Georgia Racquetball Players Association is run by a board of directors. Terrence Pierce, Board President since 2013, joined the board officially in November of 2012. I joined the board because I wasn’t happy with the way things were going with Georgia racquetball and wanted to help. 3 years later and I may have motivated many others to join!! We are a work in progress but I feel we are moving in the right direction. 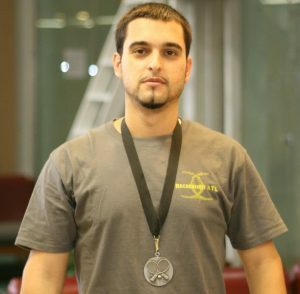 I’ve been a racquetball player for almost 30 years now, played my first tournament at age 29. Coming from Louisiana originally, one of the things which has impressed me about Georgia is the depth of competitive players in the area. Back home a good tournament would have 40 to 50 players; there at least 30 that play at Northlake on any given Tuesday of the week! That is a special thing which I appreciate greatly. I play with E-Force whom I’ve been with for the last 15 years and I currently use the Darkstar 170, I like the weight and stiff frame. I think my backhand is my biggest strength and I think everyone knows I HATE lob serves! And despite my size, my game is more about placement than power. And the shoes…you gotta have the right shoes. 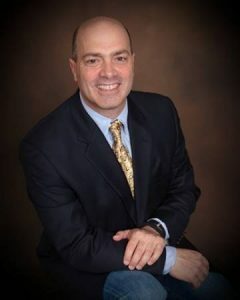 David Stincer, vice president, has long been among the top Open players in Georgia. David brings his business experience with Goliath Exteriors to the board and that help is invaluable. Michael Miller, Jr., board secretary, has been playing for 25+ years, and first learned to play at Florida A&M University. His favorite shot is a backhand pinch. To keep you off balance it’s a high Z shot. 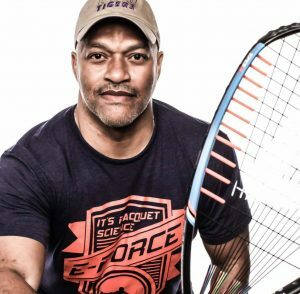 His greatest accomplishments are winning two national championships in 2011, seeing his sons win the Regional Elite Doubles together in 2011 and State Open Doubles together in 2015, and winning the 2015 US Open Men’s A Doubles with his son Michael Miller III. Will Costanza, member-at-large, is a New Jersey native that began playing racquetball in high school. I played through my college years at Arizona State University where I achieved my greatest racquetball success – I met my wife Tami on the racquetball court! We played for a few years after graduating, then took a 20-year hiatus from the sport while our kids grew up. We began playing again 6 years ago, and hope to continue for a long time. 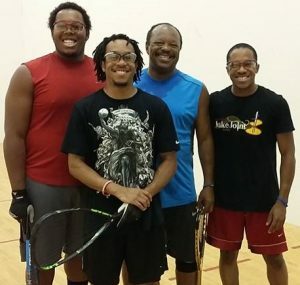 In recent years, my involvement in racquetball has been serving as a founding board member of the Georgia Racquetball Players Association (GRPA), coaching racquetball at the University of Georgia, and supporting racquetball events in many capacities along the way. Very simply, I love this sport and I want to help it succeed! I am an electrical engineer and MBA by education, and I’ve spent most of my career in Sales and Marketing within the electrical products industry. My wife Tami and I live in the Atlanta area. Chad Robbins is the board’s treasurer.